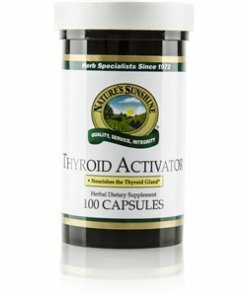 Nature’s Sunshine Thyroid Activator® is a blend of Irish moss plant, kelp leaves and stems, black walnut hulls, parsley leaves, fo-ti root, and sarsaparilla root. 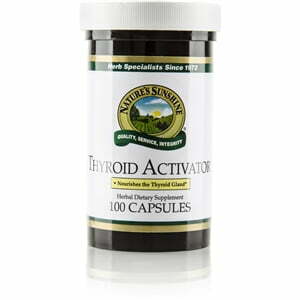 The herbs contained in Thyroid Activator are an important source of minerals that provide glandular system support, particularly support for the thyroid gland. The nutrients in the formula such as protein, fatty acids, minerals, alginic acid, amino acids, and mineral salts are often lacking in the modern diet. These nutrients support thyroid hormones and thyroid function.